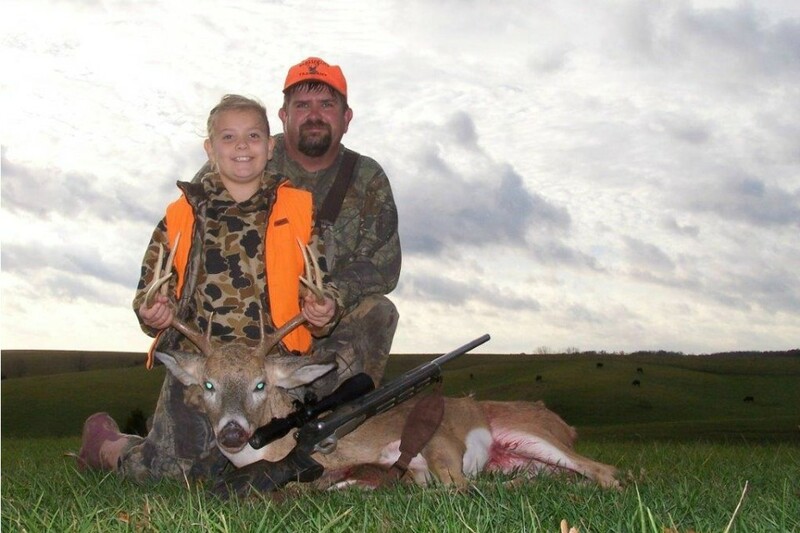 Northeast Missouri is home to thousands of acres of public and private hunting grounds. 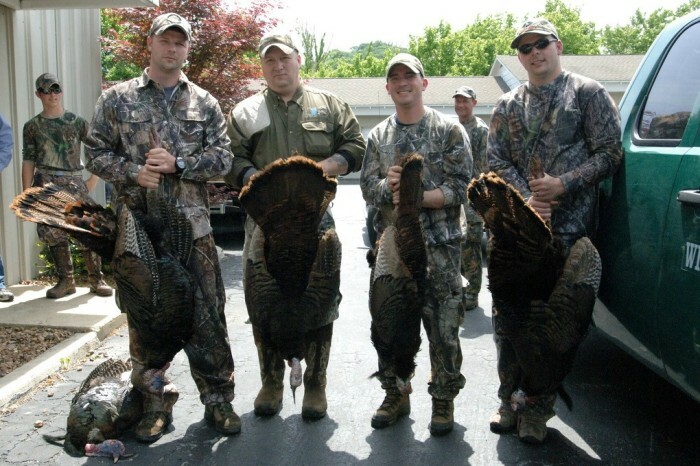 Hunters from all over the nation come to the Kirksville area for wild turkey and deer, as well as a variety of other wildlife. With 1,066 acres, Big Creek Conservation Area is located one mile southwest of Kirksville off Route H. The majority of the area is open and the remainder is made up of timber and timbered draws. Deer, turkey, squirrels and upland game are available for hunting. Camping is allowed. Hazel Creek Lake is a 530 acre lake located 4 miles north of Kirksville and 2 miles west of Highway 63. Access facilities were built by the Missouri Department of Conservation and are maintained by the City of Kirksville. 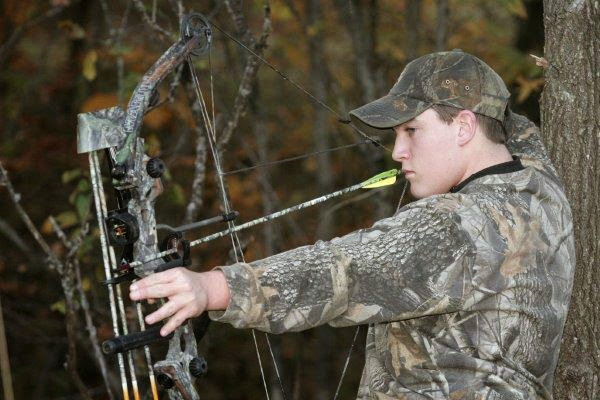 Only shotguns, muzzle-loading, and archery equipment may be used for hunting. Bullfrog and green frog may be taken during statewide season. The lake contains largemouth bass, white crappie, bluegill, channel catfish and muskellunge. Gasoline powered boats are prohibited on Hazel Creek Lake. Electric trolling motors may be used. Gas motors may be attached to the boat but not used. This conservation area is 19 miles southwest of Kirksville on Highway 11. The 348-acre area is wooded, providing for abundant populations of white-tailed deer and wild turkey. Camping is allowed. This conservation area, located 7 miles north of Novinger near Route D, is a 200-acre area characterized by oak and hickory wooded hills with narrow ridges. This area supports populations of deer, turkey and squirrels. Spring Creek runs throughout the northern portion of the area. Camping is allowed. Located 4 miles southwest of Kirksville on Hwy 11, Sugar Creek Conservation Area consists of 2,536 acres. The area is primarily forested and is bisected by Sugar Creek and Elm Creek. White-tailed deer and wild turkey are abundant in the area. Camping is allowed. This area spans parts of Adair, Putnam and Sullivan counties and is accessible from Route D two miles north of Green Castle. The 7,981-acre area consists of grasslands, fields, prairie and forest bisected by Spring Creek. 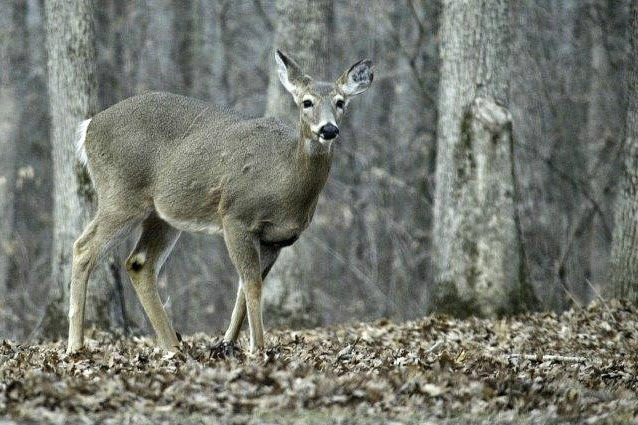 Whitetail deer are abundant in Union Ridge Conservation Area. The region also supports good populations of bobwhite quail and other upland game species. Camping is allowed.